Use Time Machine and iCloud to automate file backups. Turn on Find My Mac in case your computer is ever lost or stolen. Turn on FileVault to automatically encrypt your data. Review your privacy settings to limit access by apps. Think of all of the things you store on your Mac, from pictures of your family and friends, to your music collection, to confidential information like your tax return or business plans. 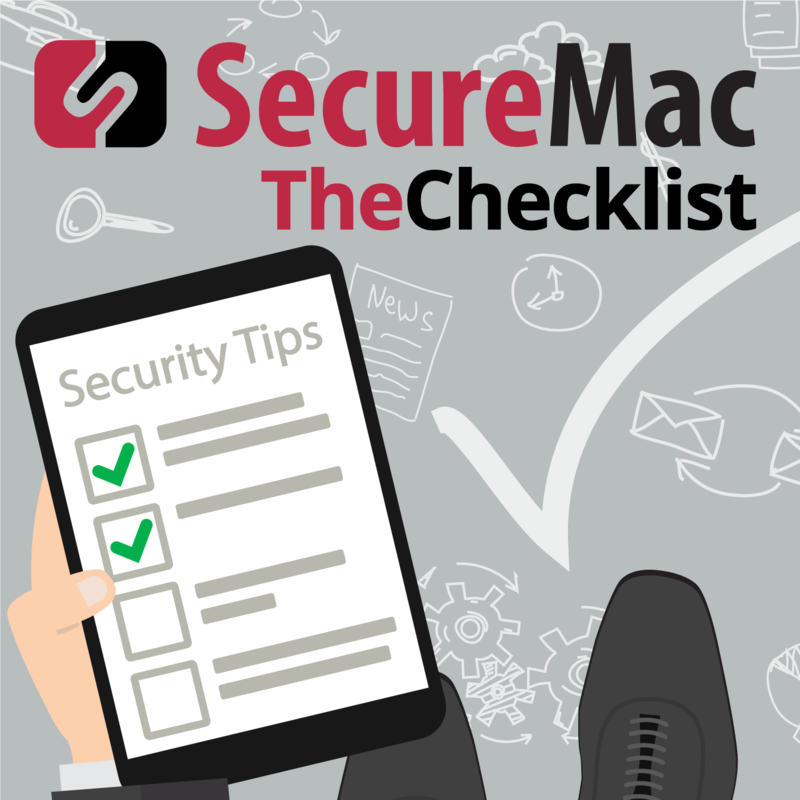 By following some simple steps, you can ensure that your files will be safe in the event of data loss, theft of your computer, or anything else that might befall your Mac! Use Time Machine and iCloud to automate file backups. As the saying goes, there are two types of people: those who have backups, and those who haven’t lost all their data yet. Data loss can occur for a variety of reasons, from accidentally deleting an important file, to catastrophic failure of the physical hard drive, to having your entire computer stolen by a thief. By keeping a recent backup of your files, you should be able to restore your important data when the need arises. OS X offers a few different options for backing up your files, and it’s a good idea to set them up as soon as possible to minimize the risk of future data loss. The first option is Time Machine, the built-in backup utility that comes with OS X. You’ll want to invest in a Time Capsule or other external hard drive. Once configured, Time Machine will back up your files on a regular basis, and offer an easy-to-use interface to restore your data if you ever need to recover it. Another option would be to set up iCloud to back up things like documents and pictures. Depending on the amount of data that you need to back up, you might need to purchase extra iCloud storage space from Apple. Turn on Find My Mac in case your computer is ever lost or stolen. Nobody wants to have their Mac go missing, and the loss or theft of your computer goes beyond the hardware itself when you think about all of the personal and private data stored on your system. iCloud has a great feature called Find My Mac, which can help in the event your Mac is lost or stolen. Find My Mac can not only locate the last known location of your computer on a map (it’s important to note that you should always provide this information to the police in cases of suspected theft and let them handle it rather than trying to recover your Mac by yourself), it also gives you the ability to lock or erase your Mac remotely. Turn on FileVault to automatically encrypt your data. With the right tools and unimpeded physical access to your computer, it’s possible for a criminal to get ahold of all of your files and data even if they don’t know the password for your account. FileVault solves this problem by automatically encrypting all of the data on your disk, making it impossible to access without knowing your full password. This ensures that your data remains safe in the event that your computer is lost or stolen. Review your privacy settings to limit access by apps. Many apps have legitimate reasons to access your private information, such as your mail app needing access to your contacts and address book. However, there might be times when you want to limit the apps that are allowed to access this information, and Apple provides a way to control access on an app-by-app basis. Along with deciding which apps can access things like your contacts or calendar, you can additionally disable location services (which can pinpoint the physical location of your Mac). Disable Spotlight Suggestions. Spotlight is a great feature when it comes to finding a specific file or app on your system, but its default configuration isn’t the best when it comes to your privacy. By default, Spotlight Suggestions sends your search query and related usage data to Apple in order to show suggestions from the Internet, App Store, iTunes, and other sources in the search results. If you’re searching for something such as your social security number or other confidential and private information, you obviously wouldn’t want that information to leave your Mac, let alone be sent to a third party. The good news is that it’s not hard to disable Spotlight Suggestions, which is something that every Mac user will want to do as soon as possible. By following the security and privacy guidelines listed here, you’ll be off to a great start when it comes to protecting your new Mac as you take it for its first spin on the Internet.